Mot Tests in Brierley Hill and MOT Services in Brierley Hill are provided by BTS Garage. BTS Garage is located in Brierley Hill and provides a Car, Van and Light Commercial MOT Testing Service in the Brierley Hill area of the West Midlands. This is a Ministry of Transport Approved Testing Station which is able to provide MOT Testing Facilities at competitive prices. 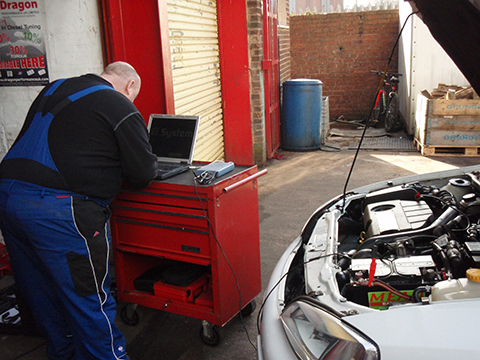 Motorists looking for MOT Testing Services in Brierley Hill need look no further than BTS Garage, Brierley Hill. This is a reliable and family owned MOT Test Centre and Garage. BTS Garage is a quality MOT Testing Centre and Garage in the Brierley Hill area - look no further than BTS Garage, Brierley Hill. BTS Garage, Brierley Hill is an Approved Ministry of Transport Test Centre and a member of The Good Garage Scheme.